Becoming an Internet millionaire isn't as difficult as you might expect, especially as many of the people who got rich online did it with almost no start-up capital. That's not all, most got famous simply by doing what they loved, whether it was playing video games or doing makeup tutorials. So, how did they turn a bedroom hobby into a millionaire lifestyle? Stay tuned and we'll reveal all! The rise of the Internet gave birth to a whole new generation of celebrity, it's not just movie stars and musicians who garner international fame, now those who are e-famous on blogging platforms and YouTube are just as easily recognisable. What's more, they take home salaries that aren't much different! While YouTube started out as a place to simply share whatever videos you wanted, it soon expanded into a huge moneymaking business, and kick-started the rise of the vlogger. Vlogger, an abbreviation of video blog or video log are Internet videos of various lengths, that are shared through mediums like YouTube. Vlogs aren't restricted to pre-recorded videos however, live streams have become increasingly popular, especially when it comes to video games and Q&As. 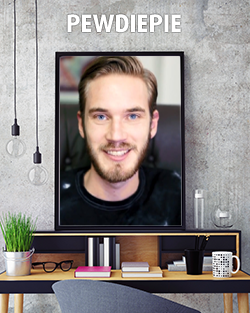 At just 26 years old, Felix Kjellberg, better known as PewDiePie, is the highest paid YouTuber in the world. According to Forbes Felix raked in over £11 million last year. So, what does he do to bring in this mouth-watering amount of cash? He plays video games. Over 46 million people tune in to watch him play, and he's produced over 3,000 videos during his YouTube career. The entrepreneurial Swede has also donated a lot to charity, and often organises fundraisers with his legion of followers. His fame has expanded beyond the Internet, having appeared on South Park and popular US show Conan, hosted by Conan O'Brien. Anthony Padilla & Ian Hecox have forged a hugely successful YouTube career through their satirical videos and parodies. Their videos regularly draw more than 22 million viewers, and their account has amassed over 5 billion views in total. Their yearly income has been estimated at over £6 million, giving the two around £3 million each to play with. 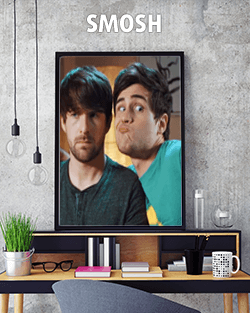 In 2015 they took their video making to the next level, shooting Smosh The Movie. The movie got very mixed reviews, with the media generally dismissing it, but when you have over twenty million subscribers, who really cares about film critics? 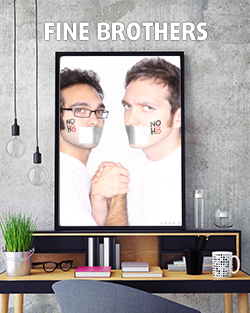 The Fine Brothers are online producers, screenwriters and directors, best known for their range of reaction videos. The two brothers have over 14 million followers on YouTube now, and their videos have been viewed four billion times in total. The pair have expanded their brand to include a number of different channels, focusing on a range of different topics, from music to TV reviewing. They have also collaborated with a host of famous YouTubers, including the aforementioned PewDiePie and Smosh. Reaction videos are not exclusive to the Fine Brothers, and when news broke that they were trying to trademark the term 'react' it caused a huge uproar in the YouTube community, and the duo lost thousands of subscribers during the fallout. Since then, after some backpedalling and the withdrawal of their claim on the word react, their subscriber count has begun rising again. 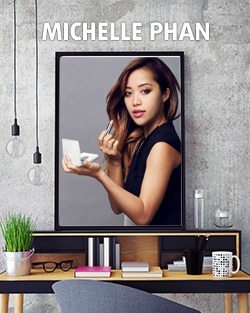 Michelle Phan began her Internet career with a blog, which focused around make up tutorials, before making the switch to YouTube videos. One video, focusing on how to replicate Lady Gaga's eyebrows went viral and Phan reached a million subscribers. She now boasts over 8.6 million followers on the popular video sharing website. Her blogging success has led to partnerships with Lancôme, and a cosmetics line with L'Oreal. Her voice has also been used in the Marvel Avengers mobile game, for the character Jessica Jones. 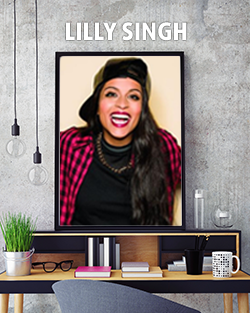 Lilly Singh is a Canadian vlogger and comedian who performs under her pseudonym IISuperwomanII. She started uploading to YouTube in 2010, and has since gained a massive following of 9.4 million. Lilly has also opened a new channel called SuperwomanVlogs, where she chronicles her day-to-day, and the documents the people she encounters. Thanks to her video's popularity she is now in the top 10 highest paid YouTube personalities, taking home over £2 million in the last year. Not a big hit on YouTube? 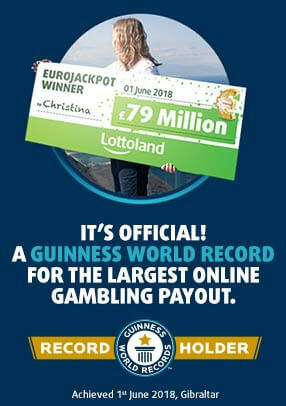 Perhaps you might have more luck with lottery betting?